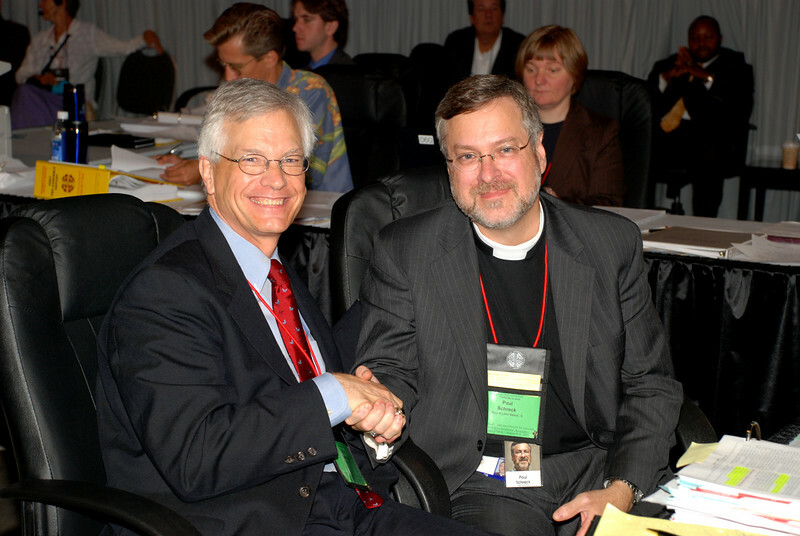 Daily photos of the ELCA churchwide assembly in Chicago, IL August 11, 2007. David Swartling and The Rev. Paul Schreck wishing each other luck seconds before the winner was announced.